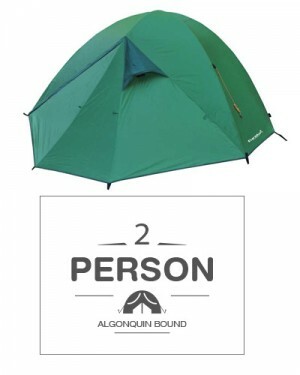 The classic Algonquin Park camping tent, this lightweight dome tent sleeps 2 adults with room to spare. 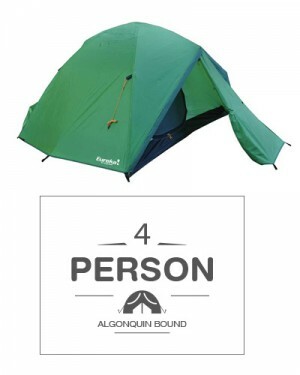 This larger lightweight dome tent is perfect for a family of four or for larger groups. 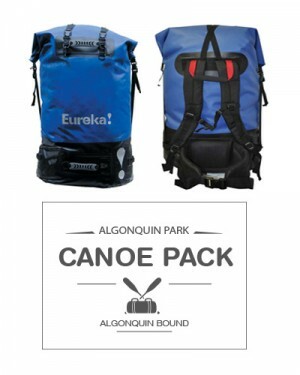 The classic Algonquin Park canoe pack is perfect for the second pack on your canoe trip. 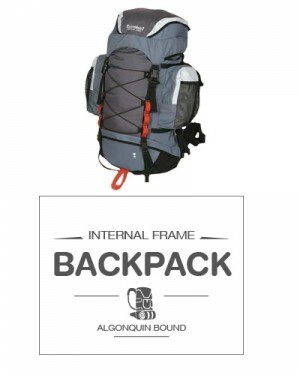 For those who need to carry outdoor gear or camping equipment over those infamous Algonquin Park portages, the internal frame backpack is a good alternative. 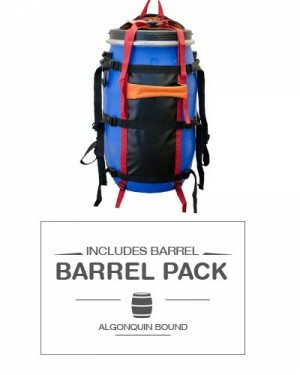 This Pack comes with a comfortable harness and is ideal for those that have a higher than normal chance of going into the drink. 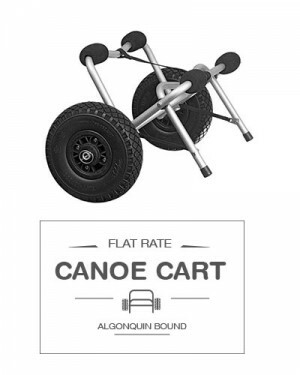 The barrel is watertight and floats, serving two essential purposes of keeping your stuff dry and you potentially afloat! 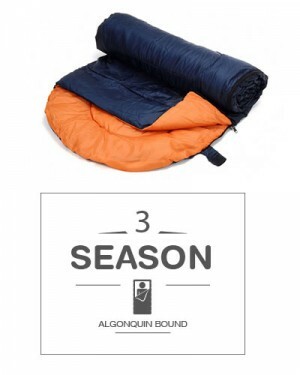 The minus 10 degrees Celsius rating of our sleeping bags will ensure you will be snug and warm even on the coldest of spring or autumn nights. Not interested in sleeping on the ground? 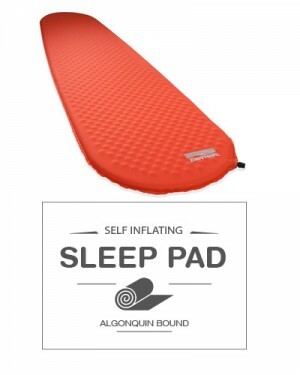 Then a Thermarest self inflating sleeping pad is the thing for you for you Algonquin Park adventure.